HOME TURF blog — welcome to the Good Sport! Soccer Saturday at The Good Sport! If you have a chance this evening or first thing in the morning, you might want to take some preventative measures and initiate a soccer cleat reconnaissance mission. When you are ready for a GOOD SPORT visit, we will have the measuring devices and products on the launch pad! Do Over! Soccer, Softball & Baseball Tomorrow! Thanks to the support of our loyal customers, we are going to do it all over again! Due to the overwhelming success of last weekend's Soccer, Softball & Baseball Saturday, and to thank our loyal customers, we have decided to do it all over again! It's All About "The Fit"
Purchasing a product that requires proper sizing, is a tremendous gamble when granting your trust to either retail e-commerce robot or a barely trained salesperson. Afterall, a haircut cannot yet be bought over the Web and getting a pre-prom trim at Walmart has serious risks involved. 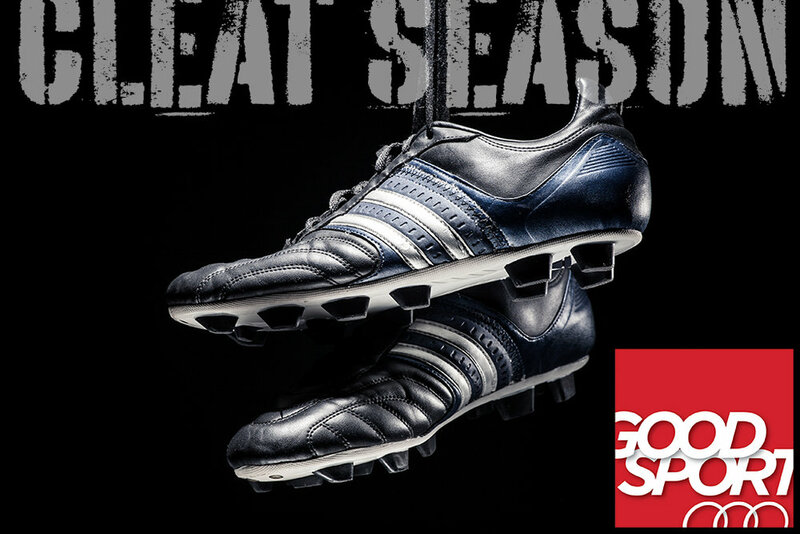 Cleat Season is Upon Us! The Good Sport pays close attention to the dawning of CLEAT SEASON and prepares itself for the sudden influx of customers (which includes the fashion and brand-oriented athlete as well as the parent providing the 'PopCoin' or 'MomCoin'). SOCCER SATURDAY! Just for kicks, stop by the store! Join us for SOCCER SATURDAY! We open at 9:00 am sharp! Credit for the early growth of modern soccer is directly linked to Great Britain, where according to unsubstantiated legends, the severed heads of Danish criminals replaced soccer balls which were often in short supply (due to theft and other forms of criminal activity). Saturday March 11: Celebrating Youth Lax in Hingham & Norwell! The Good Sport is going to be rocking and rolling the Saturday (March 11) as we celebrate the youth lacrosse programs of Hingham and Norwell! Marshfield Lax Day Repeat: Saturday! We have heard rumors relating to a PRIUS Parade that blocked traffic for hours. Someone also mentioned a pothole that had swallowed at least seven minivans and mid-size SUVs. We cannot confirm any of the details but – The Good Sport will be holding a second Marshfield Lax Day on Saturday, March 11! Hingham Laxers: Custom Helmet Decals & Black Helmets! There is no such thing as a bad lacrosse gift… especially ones that keep the player safe & looking good! The GOOD SPORT recently received word of "Sticklet Clinics" offered by Revolution (Rev) Lacrosse for girls in grades 1 and 2. For more information, please visit the Rev website for a downloadable program description sheet. One of our favorite items is the quarter-zip, long sleeve shirt. We understand that a young mom from Scituate has been wearing hers for nearly 78 days straight.